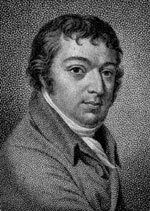 This Viennese man of letters, a good amateur musician, was born in Hungary; it was through him that Schubert spent two summers in that country. Unger published his Gedichte in 1797 (the volume contains a meditation on a Dryden poem). He married into the aristocracy having worked as an impecunious private tutor in his earlier years. It was on account of Unger’s friendship with Count Esterházy, whose country seat was at Zselíz, that Schubert was invited to be music teacher to the two young Esterházy countesses, Marie and Karoline, in 1818 and 1824. The autograph copy of Unger’s compositions in my possession (he composed songs to his own poems) includes Der Abend and Die Geselligkeit. In 1818 these two poems were set as vocal quartets (SATB) by Anselm Hüttenbrenner and Schubert (D609) respectively. This flattering attention might have prompted Unger to pull strings for Schubert and find him much-needed summer employment. Unger’s daughter Karoline appears later on these discs as a composer.